Almost ten years ago I released the first Memory Collection pack (samples from Public Domain movies). 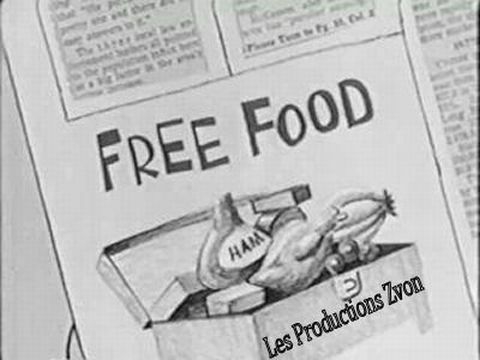 At the time, I wanted to add some fun and different Holidays themed sounds to the samples I was offering. This idea to use old Public Domain movies was inspired by my love of old movies and an inclination to archive stuff. I also wanted to give a shot at audio restoration and I like sampler programs that map together a bunch of diverse sounds in order to create audio collages / montages. The original MC pack 01 was a relatively small affair with 378 samples for suggested donationware price of $3.33. The price was a nod to the 33 1/3 rpm long playing record. I had no idea that it would grow to 9 Memory Collection packs! Some packs are themed, Horror, Sci-Fi, Crime and Holidays movies for instance. To celebrate this I am annoucing that work on MC 10 has begun, no ETA yet ... and all the individual packs are 50 % off and the complete bundle is an even better deal at $ 45 USD (60 % off). Watch the 2 latest videos I made using MC samples in the Fluxly auio looper app (Android, iOS). Re: 10th anniversary of Memory Collection 01 sample pack ... MC 10 announced! Memory Collection also has 3 free packs available exclusively from Sampleism. They add 680 samples (475.8 MB) from 2 movies, 1 TV show and 1 short! And a video using Caustic 3 from Single Cell Software, it features samples from the packs 05 to 08. In most, if not all, of the previous audio and video demos, I used only samples from the MC packs. This time they are combined with 2 of my other sample sets sprinkled with Caustic's synths to create more varied ambiances. The 2 other sample sets used are the Prepared Rhodes and the Chromatic Hits. Memory Collection 10 will be big! Over 500 sounds from 1 SciFi, 2 SciFi/Horror and 1 horror public domain movies are ready so far. 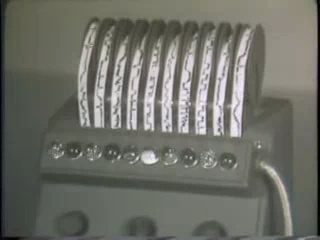 This screenshot, from one of the movies (1954), shows what was supposed to be a voice copier that operated with various bands like a vocoder!